It’s known as the Cadillac of the poker world and a game that has given millions of people a lot of pleasure (and money), but how do you play Texas Hold’em poker? 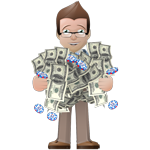 Moreover, why is it such a popular game and one that’s so easy to find at our top US poker sites? In a nutshell, Texas Hold’em is the perfect blend of mathematics, strategy, psychology and luck. On top of that, because anyone, no matter how experienced they are, can win a hand, it’s extremely attractive proposition for novice players. Because there is an element of luck in the game, it means an amateur can, theoretically, beat the likes of Phil Ivey or Daniel Negreanu or any of the top pros in the USA given the right conditions. To counteract this, the skill elements of the game are such that an experienced player will always win over an amateur in the long-run. Indeed, regardless of whether you’re playing Texas Hold’em in a limit, pot limit or no limit format, there are a certain amount of skills you can learn in order to improve your chances of success. However, before we delve into some top Texas Hold’em tips for playing at online poker sites in America, it’s important to breakdown the basics of the game. Thankfully, the rules of Texas Hold’em are relatively simple and in this article we’ve outlined the basic mechanics of the game so that you can begin exploring its wonderful complexities. Before we look at the specific details of a hand of Texas Hold’em we first need to establish some general rules. In essence the aim of the game is simple: win the pot by any means possible. In practical terms there are two main ways you can win the pot: by having the best hand or by bluffing. Having the superior hand means that your cards are better than your opponent’s at a showdown and bluffing is where you force your opponent to fold before a showdown. 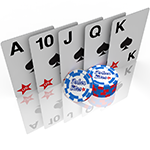 A hand of Texas Hold’em uses five cards which can be any combination of a player’s two hole cards (the cards they are dealt) and the five community cards. 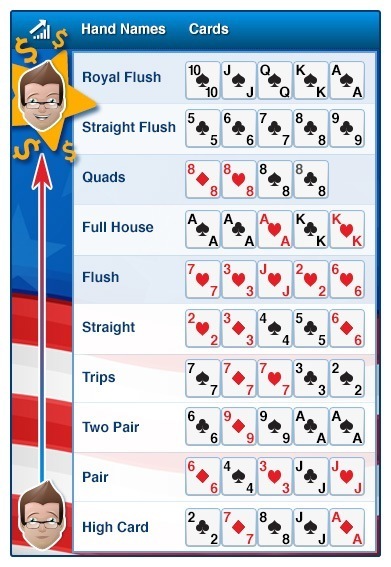 This means that a player can use one, two or none of their cards in conjunction with the five cards in the middle to make a hand ranging from a pair up to a Royal Flush. With this in mind a player must measure the value of their two starting cards before any of the community cards are revealed and decide whether or not the hand is worth playing. If they feel the cards are too weak then they can simply fold. However, if they like their hand then they must either call or raise (the size of each will be determined by the table stakes and the previous action). This process is repeated by each player at the table until everyone has either folded or met the minimum bet. (A point to note here is the each new hand starts with a player in the small blind and one in the big blind. These forced bets kick off the action and it’s the player to the left of the big blind who starts the action). After all the pre-flop action has been completed the first three community cards (the flop) are revealed. At this point another round of betting ensues with players having the option to check (take a free card if no previous betting has occurred), bet or fold based on the current strength of their hand. This process is repeated on the turn (the fourth card) and then again on the river (the fifth and final card). If at least two players are still in the hand by the river then a showdown takes place and the best five-card hand wins. However, if at any point during the hand only one player remains then they are declared the winner by default and thus scoop the pot. This, in a nutshell, is the basic outline of Texas Hold’em poker and should be enough for you to begin grinding at the tables. Texas Hold’em involves two hole cards and five community cards. A player can use one, two or none of their hole cards in order to make the best five-card hand. Texas Hold’em can be played in a limit, pot limit or no limit format. 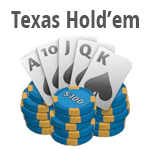 Texas Hold’em at US poker sites can be played as multi-table tournaments, cash games or single table tournaments. One of the best ways to win at Texas Hold’em is to be as aggressive as possible. Texas Hold’em is a relatively simple game to learn, but if you want to become one of the best players in the world it takes a lot of work. Indeed, players such as Daniel Negreanu, Phil Hellmuth and Phil Ivey have all played countless hours of poker and refined their skills over a number of years. While it would be impossible to outline every strategic concept you need to consider at the poker table in this article, we can give you some bite sized tips that will help you become a more profitable player. One of the biggest mistakes novice players from the United States make when they first start playing Texas Hold’em is to get involved in too many hands. Although the prospect of making a strong hand or bluffing our opponent is appealing, it’s can actually be a major drain on your bankroll if you get involved in a lot of pot. One important fact to remember is that if you play a lot of hands you will make a pair less than 2/3 of the time and this often means you’ll have to fold a lot post-flop. Secondly, if you do manage to make a hand it will be usually be weaker than average which means you’ll lose pots (and thus money) at showdown more often. Position is king at the poker table and before you enter any pot you should consider where you are in relation to the button, the blinds and to any active players. Essentially this means you should play more hands the closer you are to the button because you’ll have the benefit of extra information. Sometimes playing out of position is unavoidable, but if you want to have the greatest advantage over your opponents, then you should always play in position. 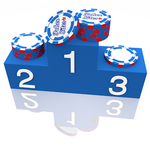 In the US, Texas Hold’em is still the dominant poker game used to define ultimate champions and big money winners. Because Texas Hold’em has been the basis for the biggest poker tournaments in the world for a number of years and although players can earn $100,000+ in a single hand, these winnings pale in comparison to the $15,306,668 Daniel Colman won at the 2014 WSOP. After battling his way past the likes of Phil Ivey, Scott Seiver and Daniel Negreanu in the $1 million Big One for ONE DROP, Colman was able bank of the largest tournament hauls in history. Topping Colman’s 2014 effort, Antonio Esfandiari banked $18,346,673 in the 2012 version of the Big One for ONE DROP. The Texas Hold’em MTT welcomed 48 players, but when the betting was done it was Esfandiari who clinched the title and more money than any other US online poker player in history.